FAYETTEVILLE, Ark. 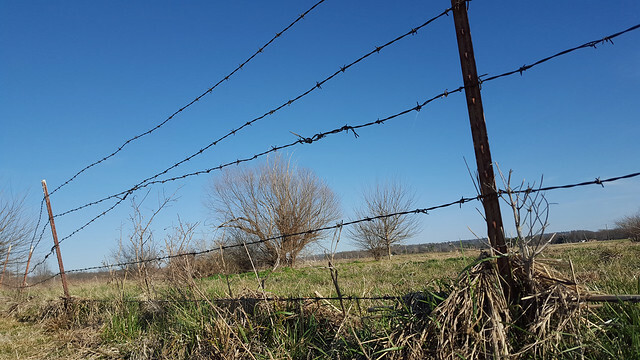 --- With age comes sagging – at least when it comes to wire pasture fences, and the advent of grazing season means it’s time to check those fences to keep livestock from wandering, said Dirk Philipp, associate professor-Animal Science for the University of Arkansas System Division of Agriculture. Philipp said the perimeter fence is the last line of defense when animals break out of paddocks, which means problems in the fence need to be caught early and promptly repaired. Over time the wire strands will loosen and can sag, making it possible for calves and smaller animals to push through. However, it’s more than just the lines that need checking. According to Philipp, once a barbed wire fence is damaged it can be hard to repair, so upkeep is necessary. And this includes making sure brush and tree growth along the fence lines are controlled and not interfering with the function of the fence. In addition to maintaining perimeter fences, polywire electric fences need to be checked as well. Philipp said because these are temporary, they can easily be replaced and repaired if needed. While the brand doesn’t really matter, Philipp said it does pay to invest in good quality wire reels, chargers, handles and posts. He offers a few more tips for handling polywire fences during the grazing season. Philipp said there is a wealth of information on properly installing and fixing fences, so when in doubt ask for help. “Get in touch with your county extension agent to address specific questions if needed,” he said.